While Europe this summer has faced one of the most intense regional droughts in recent memory, for a city like Amsterdam the main problems are with excess water: downpours of rain that put the infrastructure of the city under severe pressure. The city has become more densely populated, more intensively used, and more heavily paved; at the same time, climate change brings more extreme weather.Overall we need to develop a better relationship with water. 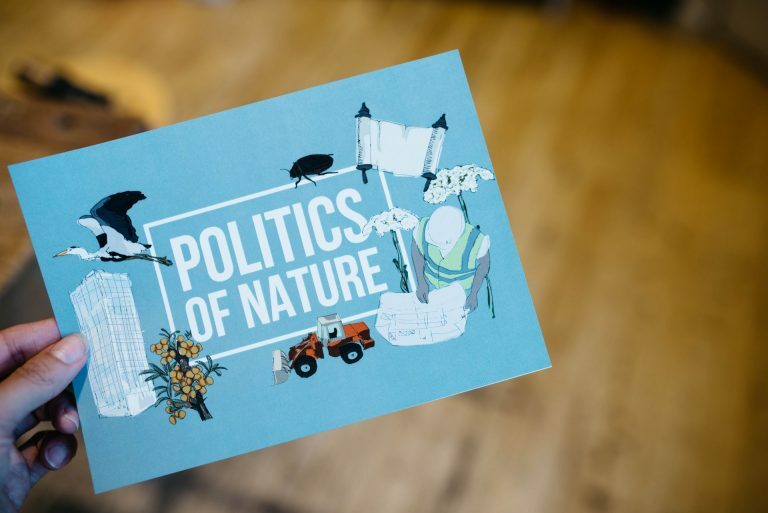 “Politics of Nature” is a method, a game with which a stronger democratic legitimacy can be created in which not only people, but also plants, animals and buildings can raise their voices.